When buying a static caravan or holiday lodge there’s a multitude of claddings and colours available. 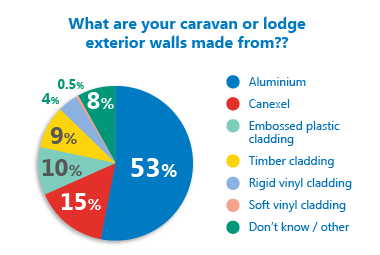 So, in our latest community poll we were interested to find out what your caravan or lodge exterior walls are made of. Hundreds of you voted, but which material came out top? Although, there’s a variety of materials to choose from, it was no real surprise that aluminium cladding came out top with a 53% of the votes. Second place in the exterior selections was a really close call but Canexel secured 15% of the votes. This was followed closely by embossed plastic cladding with 10%. Timber cladding wasn’t very popular with just 9% opting for this for their caravan exterior. “I have timber on my Pemberton Abingdon Lodge and the quality is appalling. Avoid it like the plague,” said Mike. Do you agree with the unanimous verdict? 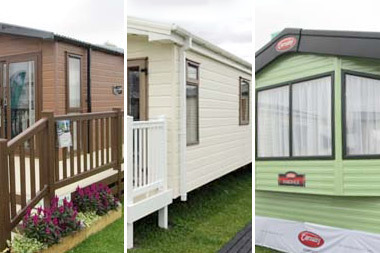 The Mobile Homes Act 2013: all you need to know. Would have thought all timber cladding would have been kiln dried first?